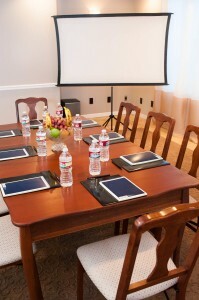 Whether you’re planning a business meeting for six or a function for 200, the Roosevelt has the perfect venue and courteous staff to make it happen. 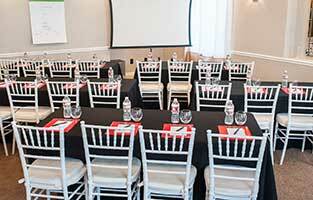 Our Event Room offers an ideal setting for up to 60 people, complete with audio/visual system. Providing a neutral pallet and an intimate setting, this space is great for bridal and baby showers, bar mitzvahs, birthday parties, anniversaries, and retirement celebrations. For larger gatherings, our extensive grounds offer space and a picturesque backdrop for grand get togethers or mega lawn-game competitions. Contact John or Tina to make your reservations or for more information about hosting your event at our Idaho bed and breakfast, and be sure to ask about our popular Coeur d’Alene lodging packages.